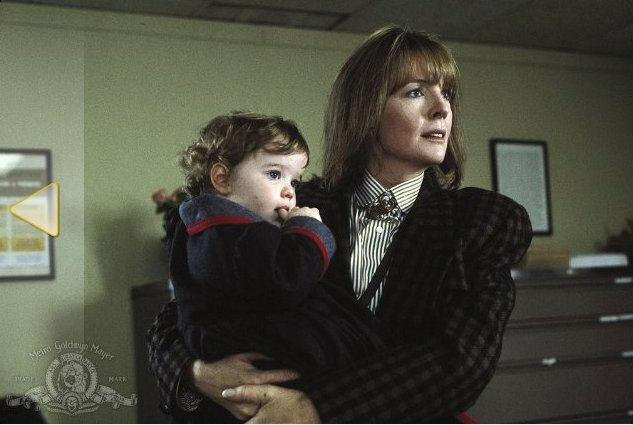 Remember that 1987 movie where Diane Keaton is bringing her baby to work and running around the city with a brief case in one hand and a baby in another? Lol – Yeah well I feel like Diane except trade in that 80’s brief case for a Targus Notebook case. Talking to customers on my headset, while playing ping-pong or kicking the ball across the office with Abby… brining Abby to customer meetings. Reading books in between placing orders or negotiating the price for a Statement of Work.. if there is a cry brewing – a quick run to the bathroom with princess so as not to disturb the other Leggs when talking to important customers. I don’t know. I have mixed feelings. Abby is 16 months.. 3 years old she can start school with her 2 older brothers. Finding day care or a new child provider at this time seems daunting and so temporary. I have reliable Sylvia for childcare one day a week, why the heck not bring Abby into the office with me the other 4. Heck it is my company, I work 24×7… Can’t I have a few perks? And why not revolutionize the work force in some way. I love that little girl, she seems to be having fun. She goes to lunch with Daddy ( so that gives me an hour of catch up time).. She sleeps for 3 hours on the office couch (believe me I am productive those 3 hours..) and when she is up I can play with her, catch up (face to face) with the other Leggs. All customers are taken care of (with help from my fabulous Legg team).. But of course, the other hand, what a constant balancing act. Is it fair to other co-Leggs? Are customers annoyed when there are baby giggles in between infrastructure details. Is it fair to the princess? She seems to be happy but she cannot talk. Can you really chew gum and walk at the same time? I don’t the answers. But every morning when walking to work I remember watching Baby Boom when I was 9 years old. Now 33 years old I have the same balancing act struggles. Diane ended up moving to the country to make a baby apple sauce business.. Baby Food is not in my cards. I am a technology, data protection girl.. but there is bliss and balance. Need to be ok with it and probably drink a little less Diet Mt Dew.